If visiting Florida was therapy for my unfounded fears, RV camping in the Florida Everglades National Park was to be my culminating coronation. The reoccurring theme in my Florida fear rehabilitation was that becoming familiar with something new is often the best antidote to overcoming a fear of it. Was this a bad idea? While I’d failed to have a bad National Park experience thus far, I was open to the possibility that this might be my first. The rumors of mosquitoes, thick like clouds combined with the seemingly dangerous, if not deadly, animal population was enough to make me second guess our sanity. In my opinion, seeing wildlife in its natural habitat is always far superior to a view in a zoo. While in Florida, our family had already felt blessed to be able to see alligators, stingrays and sea turtles in the wild. 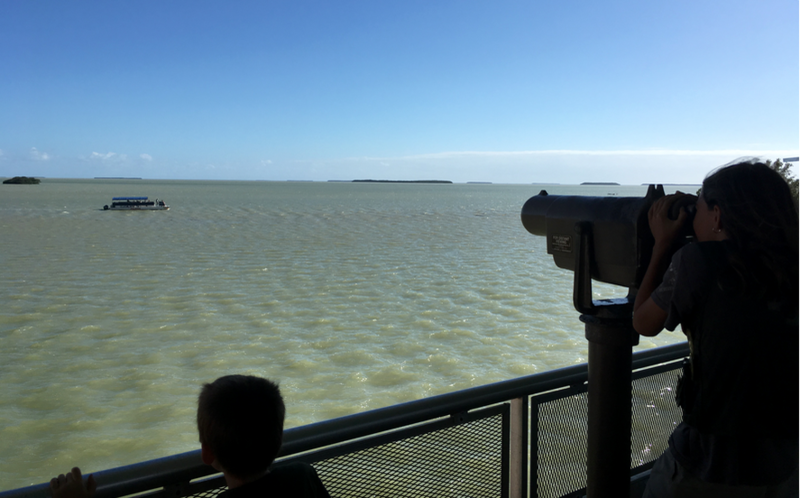 Our hopes were high but our expectations of viewing an American crocodile, manatee or dolphin while in the Florida Everglades National Park was pretty low. We were therefore overjoyed to view multiple crocodiles sunning themselves in plain view just a short walk from to the visitor center. We also saw both alligators and crocodiles on our ranger led canoe trip (more on that below). Two days later we were treated to an up close and personal view of several manatee in the marina near the visitor center. The following day, several bottlenose dolphins were swimming in the bay and we could easily see them cresting as they made their way across the Gulf. In addition to these new-to-us viewings we also enjoyed sightings of many bird species including Coots, Pelicans, Osprey, Turkey Vultures, Egrets and the Great Blue Heron. One of my favorite aspects of the National Park system are the ranger led activities. The number of talks, walks and tours available in the Florida Everglades National Park amazed us. 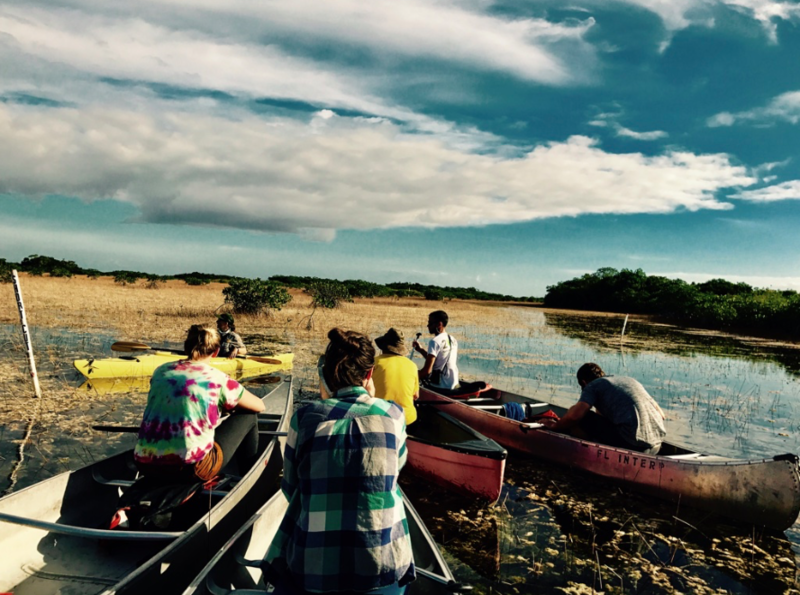 During our stay they offered a free 3.5-hour morning guided canoe trip, daily 30-minute afternoon talks and a one-hour program every other evening. They also offered bird walks, tropical tree walks as well as a ranger led car caravan. We attended many of the 30-minute talks with subjects ranging from the American crocodile to manatees, hurricanes and pythons (which, not to freak you out, have basically exploded in number to such a degree that authorities are now simply hoping to contain them from spreading throughout the entire Southeastern United States). . .
On a lighter note, we also participated in the morning canoe trip as well as an evening program. While on our morning canoe trip we were able to silently paddle past a handful of lazy alligators and crocodiles (did you know this is the only place in the world where the two co-exist in the same habitat?) 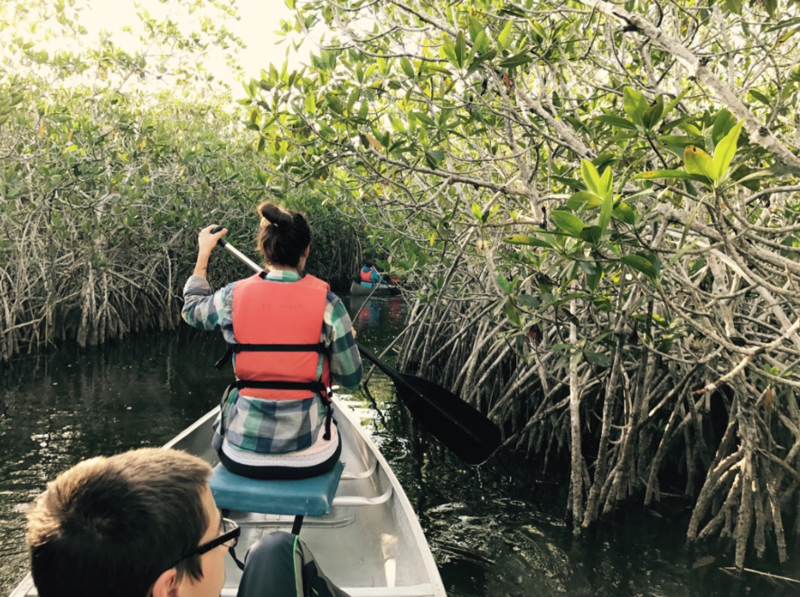 while navigating around and under the low laying branches of the red mangrove trees. I did my best to maintain a calm veneer as we proceeded through placid waters welcoming top-of-the-food-chain predators. I took my cue from the calm ranger and just kept paddling. . . Stopping from time to time, the ranger pointed out various aspects of the vegetation or delicate eco-system around us. We marveled not only at the surrounding beauty, but the fact that this unique tour was offered free of charge. I highly recommend taking advantage of as many of the ranger led activities as possible during your stay. You can click here for more details on their schedule. 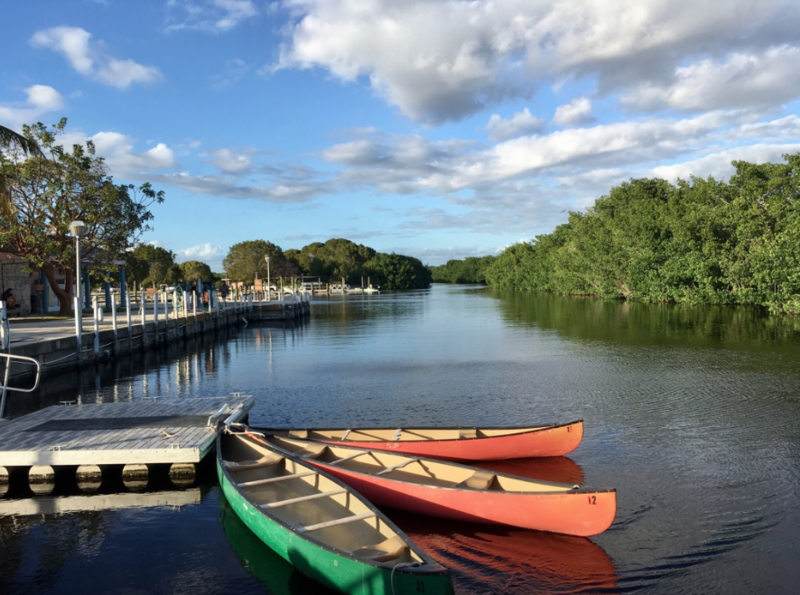 In addition, there are also paid boat tours available which can take you north deeper into the Everglades or south into the Gulf of Mexico. We didn’t participate in any of these tours, but the accessible availability was appealing to many visitors to the park. RV sites in the Flamingo campground within the Everglades Park were $30/night for the 41 electric hook-ups sites. A water and dump station is available on-site. The bathrooms were clean. Most of the showers are solar heated. We mistakenly choose the non-heated bathhouse and found the water temperature to be quite “refreshing”. Once we made a point to look for the buildings with the large solar panels (on the last day of our stay), we rejoiced in a very comfortable water temperature. There is an outdoor sink on one side of the bathrooms for dishes if needed. If you can snag an RV site right next to the shower house and have an extra long water hose, you may be able to get water. However, the sites next to the bathrooms do not have electricity so you will be forced to choose between the two. Our RV is 41′ long and we could have comfortably fit into any of the sites offered (they were ALL pull-through) which is a really wonderful plus for a National Park! Although, the quality of this photo is not high, it may give you a feel for the open ease of access. If you are willing to boondock, there are many sites available but the number of electric sites are limited. We reserved our site online several months in advance because we were not sure how fast they would fill up. Initially we reserved two weeks. Later, we canceled one of those weeks in order to visit the Keys. In the end, we felt that one week was plenty of time for our family to enjoy the park at a laid-back pace. You can find more details about the Flamingo Campground here. -The 3.5 hour ranger led canoe trip is free and for ages 10 and up. Ages 14 and up may paddle. Reservations are expected. You can reserve your spot in the visitor center. It was expected that both paddlers be from the same party/family. One underage (10-13) rider may sit between the two paddlers in the middle of the canoe. Surprisingly, mosquitoes were practically non-existent due to fish eating up the larvae. This made for an unexpectedly pleasant bug-free morning. I highly recommend this tour. 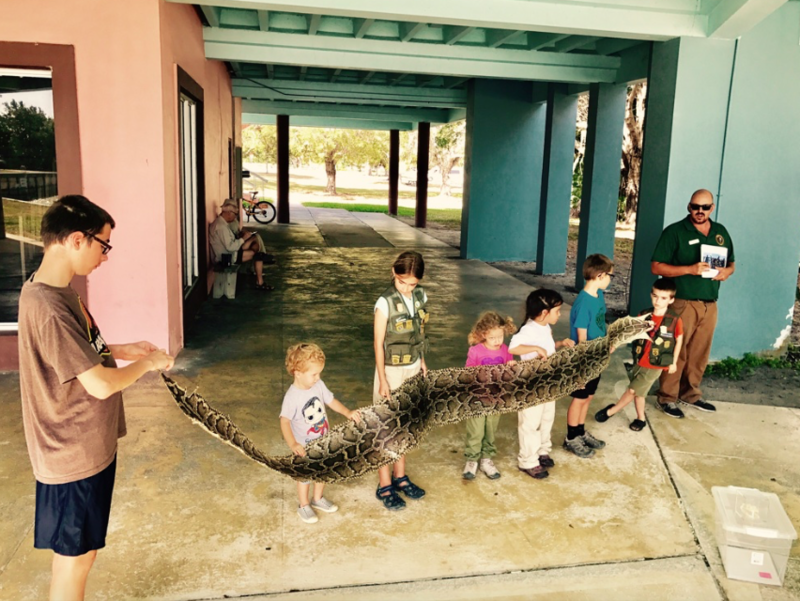 –The Jr. Ranger program at the Florida Everglades National Park requires 4 pages to be completed regardless of age. You can ask for ranger packets at the visitor center, park entrance or even when checking in to your camping site. Or if you really want to be ahead of the curve, click here and print your own copy! Activities in the booklet are not difficult and there were many to choose from. -Bikes were a plus for our stay. We used them on several occasions to ride to the nearby visitor center (about 1.5 miles from the campground) or the beach (think clay, not sand) although we could have easily used the car. 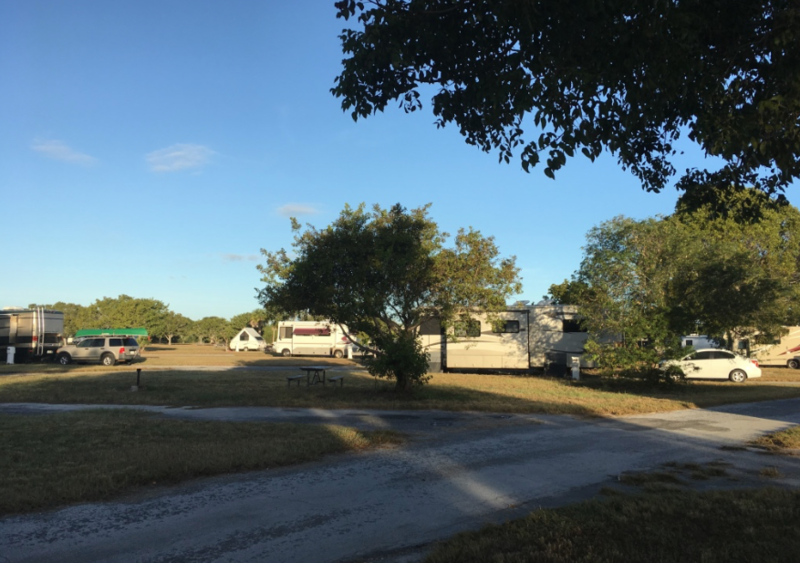 –The Flamingo RV campground is about 38 miles past the entrance of the park. Although the town of Homestead is just outside the Everglades Park, it will take you at least 45 minutes (one way) to drive there. We planned ahead and did our grocery shopping for the week before arriving so that we would not have to leave the park for food. Speaking of food, there is a small restaurant at the Flamingo visitor center (the one by the RV park). We never ate there but that is an option if you want to make use of it. -We currently use Verizon and Wi-Fi within the park was non-existent for us. However, I’ve heard that people with AT&T were able to get service. There is free Wi-Fi at the visitor center. The visitor center closes at 4:30 each day but the doors remain unlocked and you can access the Wi-Fi both within the building our just outside of it. We took the opportunity to decompress from our devices and found our week without Internet to be a welcomed change. -Mosquitoes were the main drawback to our stay in the Everglades. Come equipped with good bug spray. During the dry season (from December-April) you will find the mosquito numbers to be most favorable. Keep in mind that “favorable” is a loosely used term. Although our stay was technically during the dry season, we are told it has been wetter than normal this year, which meant more mosquitoes than average. We did our best to avoid being outdoors until mid-morning and then again retreated into our RV around sunset. During those early morning and late afternoon periods of time the number of mosquitoes felt laughable to this Idaho girl. However, even for my mid-west man, the levels were irksome. That said, from mid-morning until late afternoon most days quite pleasant. There was often a slight breeze and we could enjoy our time outside in the sun with little interaction with mosquitoes. 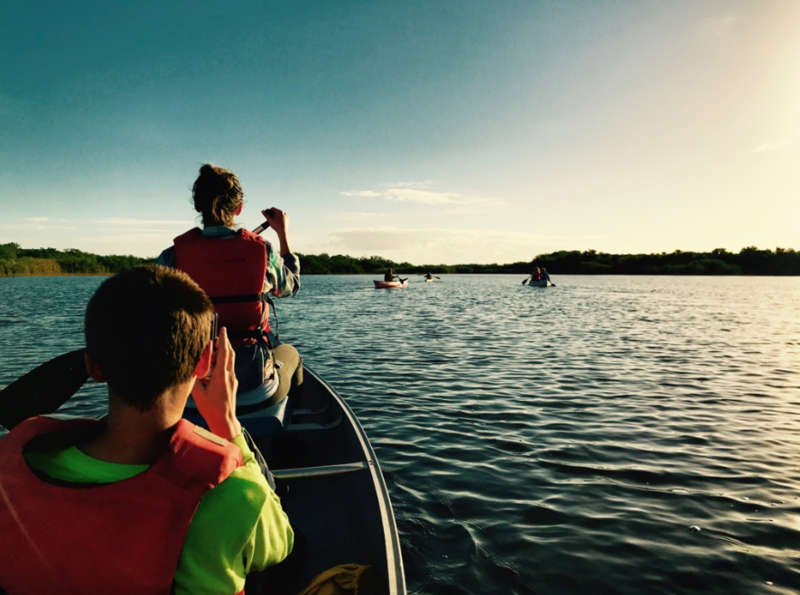 -Although personal safety due to wildlife was an initial concern, I can honestly say that I never felt we were in danger (even while gliding past alligators in our canoe). Having a ranger with us on our tour may have had a lot to do with that. However, I was reminded that although wildlife can be dangerous, as long as we give them adequate space and respect their young, it is possible to enjoy the same space without fear. -A friend and fellow full-time RVer wrote a good review of her time in the Everglades over at Barry Good Times. Her family only had time for a one day visit and they explored a different part of the Everglades than we did so I thought you might enjoy reading her take on the park as well. How about you? 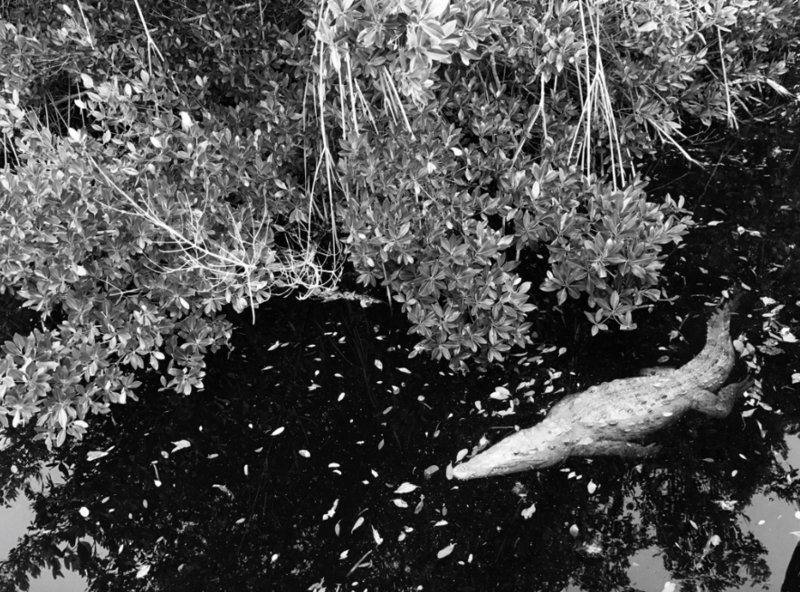 Have you been to the Florida Everglades National Park? If so, what was your experience? If not, do you plan to go in the future? Why or why not? My favorite memory of the Everglades is riding in an airboat. The tiny little frogs were splatting all over the windshield. I also got a beautiful handmade doll from the Okeechobee indians, and had an amazing Indian burger! An airboat ride is something that we have not done but everyone that has speaks of it highly so I hope we are able to make that happen in the future. I love that you have specific memories including your doll and burger. What is an Indian burger made of?